This is a Custom Order Solid Cherry Vanity that we made for a lady on Long Island. Everything was made to her exact design. 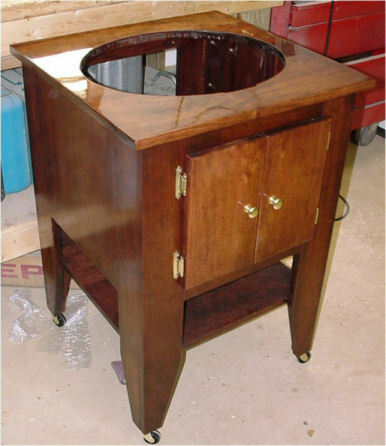 The top has 6 coats of Minwax Urethane and was hand sanded and polished to a perfect shine. It is so nice working with such beautiful wood as this.